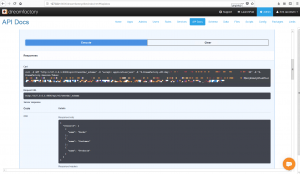 You’ve installed DreamFactory and connected to your database, and executed a few test API calls in the API Docs interface. So what’s next? Fortunately DreamFactory has already taken care of autogenerating your API endpoints so you can skip right past that and proceed to creating a client which will talk to the DreamFactory-managed API. How do we get from here, hosting an AWS Microsoft Server instance on my MacBook Pro? To here using Microsoft Server, SQL Server, and Dreamfactory, still on my MacBook Pro. At a minimum, you will need the following software and extensions installed and enabled on your system in order to successfully clone and install DreamFactory 2.12.0+. PHP 7+ – check and install the requirements below for your particular environment. PHP required extensions: Curl, MBString, MongoDB, SQLite, and Zip. You may need to install other extensions depending upon DreamFactory usage requirements. If you don’t plan on using MongoDB, please remove the df-mongodb requirement from,composer.json or include the --ignore-platform-req option when running composer install. A web server such as NGINX, Apache, or IIS. You may use PHP’s built-in server for development purposes. One of four databases for storing configuration data: MS SQL Server, MySQL (MariaDB or Percona are also supported), PostgreSQL, or SQLite. Composer – may require cURL to be installed from particular environment below. Microsoft Server can be spun up almost anywhere now, as is evidenced by the photos above, and since DreamFactory is platform agnostic, we can install it on the Microsoft Server 2012 R2 instance with just a few bits of software installed to get up and running. 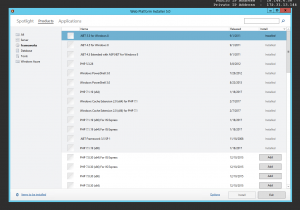 There are multiple ways to grab and install PHP on a Microsoft platform, but an easy way is to utilize the Web Platform Installer (version 5.0 as of this post). You can download the Web Platform Installer for IIS here. Select a PHP version (7.0.x is required to run the current 2.13.0 version of DreamFactory), and different pieces of IIS, should you decide to utilize that as your production web server. This post will not dive into the nitty-gritty of IIS, but you can see our documentation here. 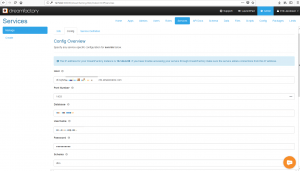 We will be using PHP’s built-in development web server to just illustrate the connections. 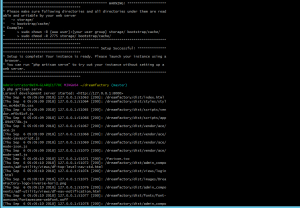 With our instance running now, we can finally delve into the “fun” part of this install. The ease with which you can add a SQL Server instance is awesome. It is the fastest install I have ever done from the driver install to DreamFactory connection, it was less than 5 minutes¹. Using our trusty Web Platform Installer friend, you can download a SQL Server driver package that is compatible with your PHP version and your O/S version. 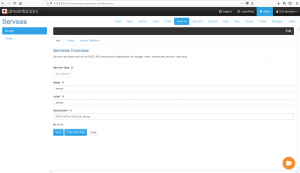 Now you can head back over to your instance and create a SQL Server service. Just select the service type, add in your credentials and then test it. That’s it. No muss, no fuss. Take a look at the screenshots below to see the results. 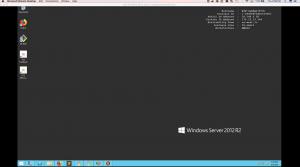 We have now connected our SQL Server instance to our Microsoft Server 2012 R2 (both hosted on AWS) on my MacBook Pro. Sometimes, it all falls into place. Don’t forget to check out our wiki and community forums for more topics, information, and examples. End users just *do not care* how the API was implemented, meaning there is no competitive advantage to be had by hand-crafting a new API for each project. Error and oversight in the API implementation and deployment phase can come at a very steep price due to security lapses and performance issues. Repeatedly building one-off APIs means they can’t be managed via a single platform or interface; unless the team decides to devote even more time and effort to building a custom management solution. Fortunately, the DreamFactory platform can easily absolve your team from all of these hassles and much more by offering a centralized solution for the API generation, documentation, and security. In this tutorial I’ll show you just how easy it is to build, secure, and deploy a REST API for your MySQL database. DreamFactory’s MySQL service connector is part of our open source version. You can download an installer or clone directly from GitHub via our downloads page. 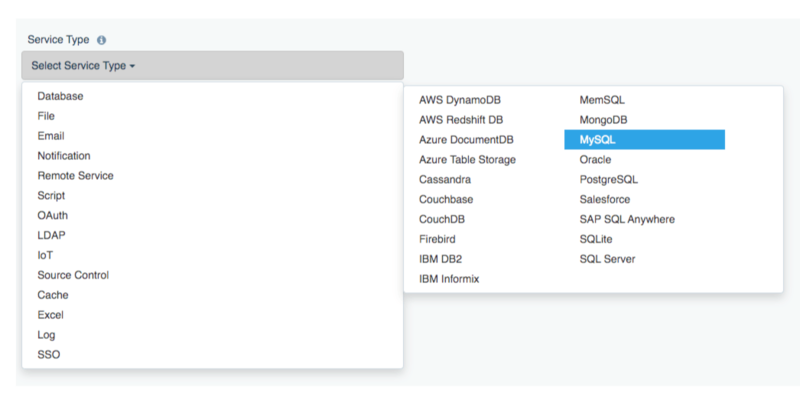 DreamFactory can generate REST APIs for 18 databases, among them MySQL, Microsoft SQL Server, Oracle, PostgreSQL, and MongoDB. To do so, you’ll login to the DreamFactory administration interface, navigate to Services and then enter the service creation interface by clicking on the Create button located to the left of the screen. From there you’ll select the MySQL service type by navigating to Database > MySQL (see below screenshot). Next you’ll be prompted to provide a name, label, and description (below screenshot). The latter two are used just for reference purposes within the administration interface, however the name value is particularly important because as you’ll soon see it will comprise part of the API URL. Finally, click on the Config tab. Here you’ll be prompted to provide the database connection credentials (see below screenshot). This should really be nothing new; you’ll supply a host name, username, password, and database. Additionally, you can optionally specify other configuration characteristics such as driver options, the timezone, and caching preferences. For the purpose of this tutorial I’ll stick to the required fields and leave the optional features untouched. With the credentials in place, just press the Save button at the bottom of the screen, and believe it or not the REST API has been generated! 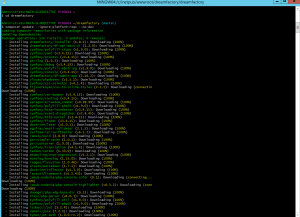 Along with the API, DreamFactory will also auto-generate an extensive set of interactive Swagger documentation. 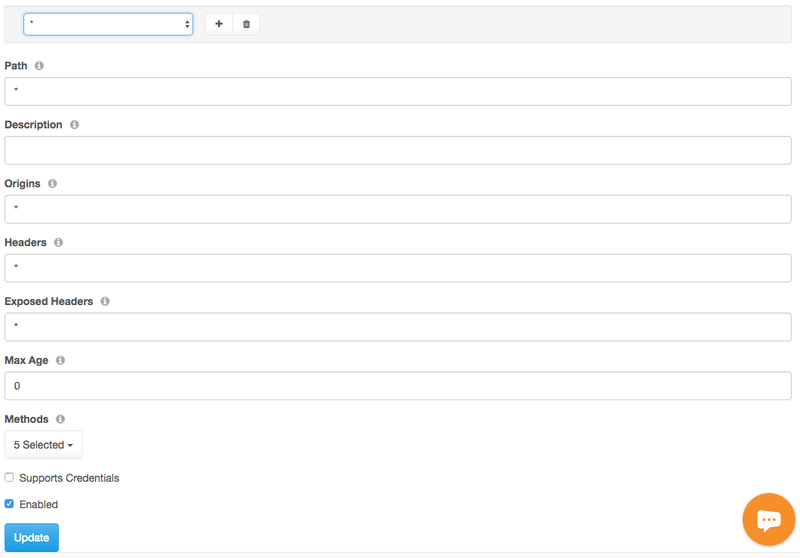 You can access it by clicking on the API Docs tab located at the top of the administration interface, and then selecting the newly generated service by name. You’ll be presented with 44 endpoints useful for executing stored procedures, carrying out CRUD operations, querying views, and much more. 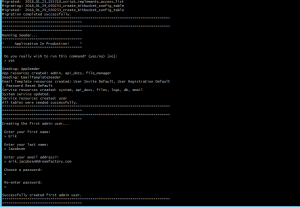 For instance the following screenshot presents just a small subset of newly generated MySQL REST API endpoints! All DreamFactory-generated APIs are automatically protected by (at minimum) an API key. You can optionally authenticate users using basic authentication, SSO, or Directory Services (LDAP and Active Directory). Furthermore, you can associate each API key and/or user with a *role* which determines exactly what services the user is allowed to access. Not only that, you can restrict interactions to a specific database table or set of tables, a specific endpoint(s), and even restrict which HTTP methods are allowed. 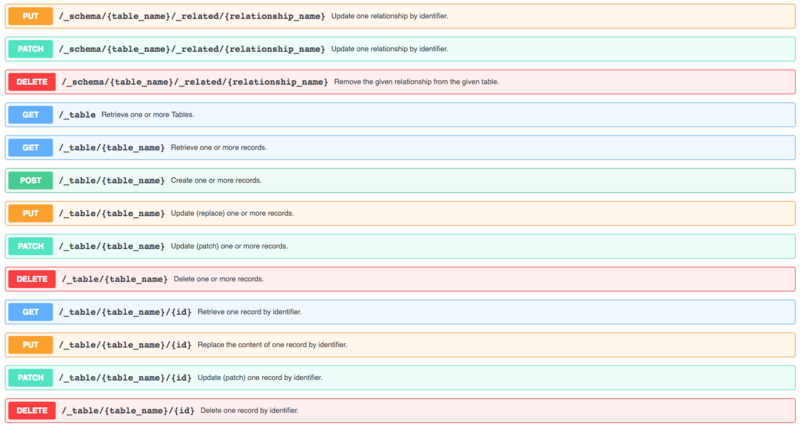 As an example, let’s create a new role which restricts the associated API key to interacting with a single table in a read-only fashion within the newly created MySQL API. To do so, navigate to the Roles tab, and click the Create button. You’ll be presented with the interface found in the below screenshot. In the screenshot you’ll see I’ve already assigned a name and description for the role, and made it active by selecting the Active checkbox. Next, click the Access tab. This is where you’ll define what the role can do. In the below screenshot you’ll see I’ve limited the role to interacting with the MySQL service, and within that service the role can only interact with the _table/employees* endpoint via the GET method. We’re on lockdown baby! Save the role by clicking the Save button. Now we’ll create a new API key and associate the key with this role. To do so, click on the Apps tab located at the top of the screen, and then click the Create button. Assign your new App a name and description, ensure it is set to Active, and then assign it the default role of MySQL just as I’ve done in the below screenshot. Regarding the App Location setting, presuming you plan on interacting with the API via a web or mobile application, or via another web service, then you’ll want to select “No storage required”. Press the Save button and you’ll be returned to the Apps index screen where the new API key can be copied! Copy the key into a text file for later reference. 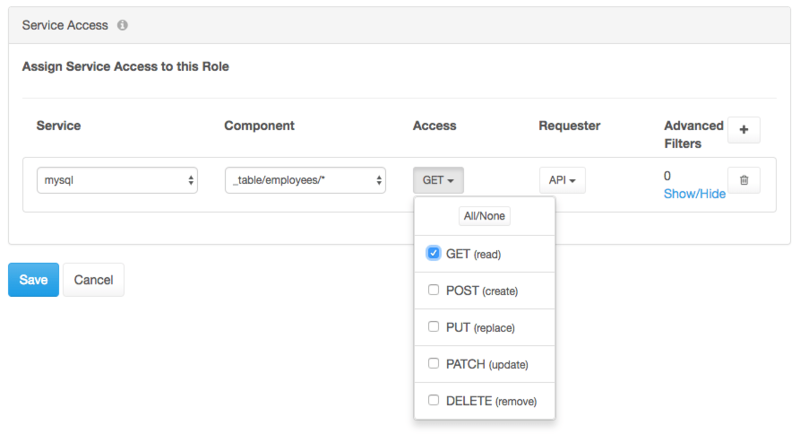 With the API generated, API key and associated role created, and CORS configured, you’re ready to begin interacting with the API via a client! I like to use Insomnia for HTTP testing on MacOS, however another popular solution is Postman. 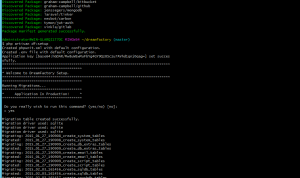 In the following screenshot I’m using Insomnia to contact the /api/v2/_table/employees endpoint using a GET request. Recall that we’ve locked down this API key to only interact with the /api/v2/_table/employees/* endpoints using the GET method. So what happens if we try to POST to this table? A 401 (Unauthorized) status code is returned, as depicted in the following screenshot: Where to From Here? Believe it or not, we’ve only scratched the surface in terms of what DreamFactory can do for you. If you’d like to see our SQL Server, Oracle, or MongoDB connectors in action, or would like to watch how easy it is to convert a SOAP service to REST without writing any code, why not schedule a demo with our engineering team! Head over to https://www.dreamfactory.com/products and schedule a demo today! One of the most important ideas in the world of software engineering is the concept of loose coupling. In a loosely coupled design, components are independent, and changes in one will not affect the operation of others. This approach offers optimal flexibility and reusability when components are added, replaced, or modified. Conversely, a tightly coupled design means that components tend to be interdependent. Changes in a single component can have a system wide impact, with unanticipated and undesirable effects. 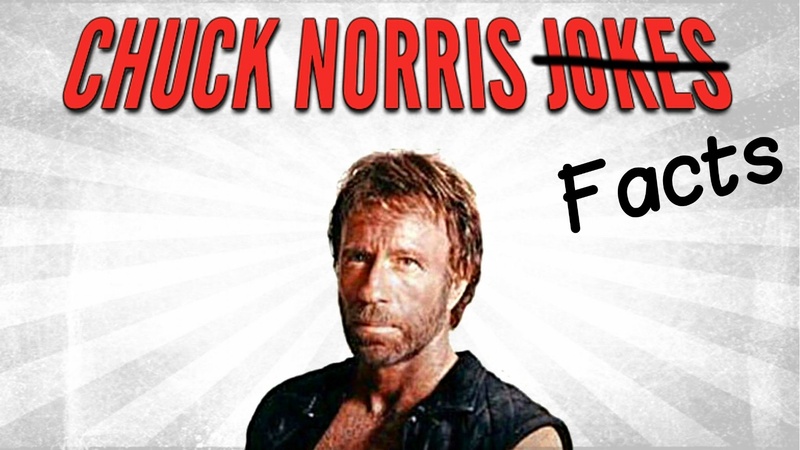 What if Chuck Norris Wanted to Create a Service That Automated APIs? 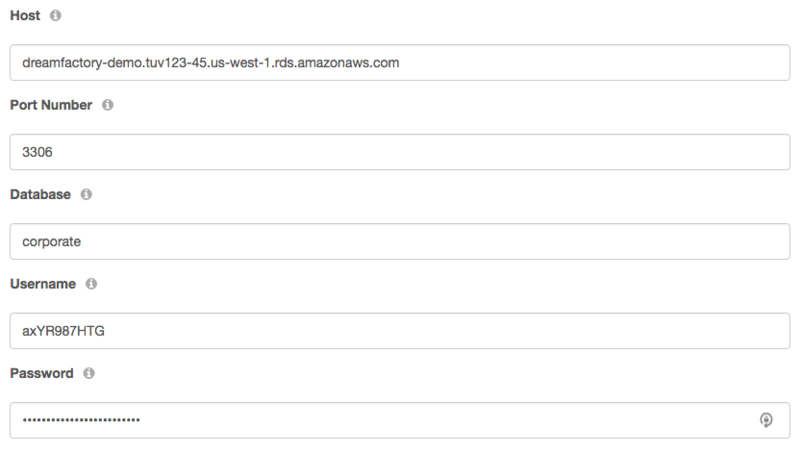 Starting in DreamFactory 2.11, you can create a MongoDB GridFS service. GridFS is a specification within MongoDB that allows you to store and retrieve files that exceed the BSON-document size limit of 16 MB. It does this by splitting the blob or file into separate chunks and storing each chunk as a separate document.